The Broads Society was founded in 1956 on the initiative of Len Ramuz. At this time it was only just starting to become recognised that the Broads were suffering from neglect and the view was that the various bodies with responsibilities in the Broads needed to work closer together in order to save the region from continuing degradation. From the early days, the Society published a magazine, first known as the ‘Broads Society Bulletin” In 1977 this became ‘The Harnser’, the local name for the iconic heron. This had featured as a sketch on the cover of the earlier publication. The magazine today has developed into a well known and much respected publication that keeps the membership, many from outside the Broads area, well informed. The purpose of the Broads Society has always been to promote the future well being of the Broads area, providing a focus for all who are interested in the region including navigators, naturalists and all those who care for the natural environment, farmers, residents and visitors alike. In its early days the emphasis was on the social element giving an opportunity for the many different interests to meet and talk of their mutual concerns. The social aspect continued with the emphasis moving towards support for the environment and the infrastructure, included improvements to navigation. The Society campaigned vigorously for the establishment of the Broads Authority which was first set up in 1979, as a ‘Joint Local Authority Committee’. The Society continued the campaign to give national recognition for the Broads which had been recommended for designation as a National Park as far back as 1947 when the birth of the National Park family was being actively debated. The need to include navigation powers, then held by the Great Yarmouth Port and Haven Commissioners, meant that it was not possible to use existing National Park legislation to take over these powers. Therefore it was necessary to promote a special Act of Parliament. The Society gave its support and the Broads Act, passed in 1988, established the Broads Authority as a statutory body with the wide powers of a National Park but including these very necessary navigational powers. 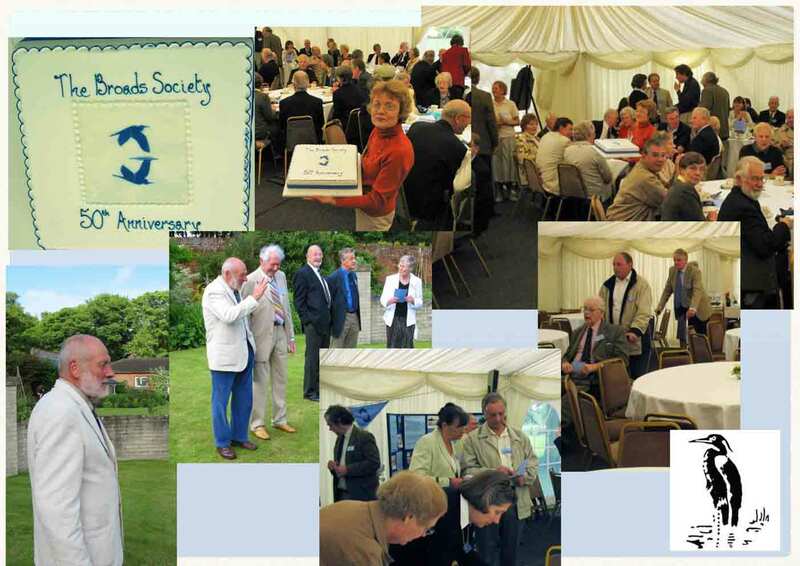 In the mid 1980’s the Society played a major role when the How Hill Trust was formed. The purchase of the house and the site ensuring its future as an educational centre. During the 1990’s an in depth review of the future of the Society was undertaken and by 1999 the Society had applied for charitable status with the Charity Commission. A new Constitution was drawn up under which, with minor amendments, the Society still operates. The work of the Society had also developed and it was decided to appoint a part time administrator. In 1993, the Society pioneered an environmentally friendly boating event, known as Silent Sensations where the emphasis was on-non polluting craft powered by oar, sail or electricity. This has now developed into the annual Green Boat Show. One of the roles for the Society is to independently scrutinise all planning applications in Broadland. The Society through its North and South Rivers Committees advises the Broads Authority planning department of the views of the Society. The Society is also active in identifying eyesores on the Broads. It has also conducted surveys of the open marshland where unsightly overhead cables are situated. It has been sucsesful in recommending where these transmission lines be placed underground. The Society has been active in physically helping in the preservation and improvement of the environment. A group of volunteers, known as Broadsword, work winter weekends clearing vegetation, mainly on the river banks. The Society is also a joint owner of the last working eel sett at Candle Dyke. Since 1997 there have been discussions about founding a Charity for the Broads. The concept was supported by the Society and in 2008, with the help of a legacy from Lady Mayhew, the Society was able to support the formation of the Norfolk and Suffolk Broads Charitable Trust. The Society is represented on this Charity. The object of the Trust is to provide funds for projects in the Broads that are not a statutory duty of any of the Authorities with responsibilities in the area such as the Broads Authority.